As teachers, we play many roles. Educator, counsellor, first aider and, occasionally, referee when children come into conflict with one another. Playground politics can be tricky. There are always at least two sides to every story and it can be hard to work out what went wrong and how to help children fix it. It can get even more complicated when parents and carers get involved as well. 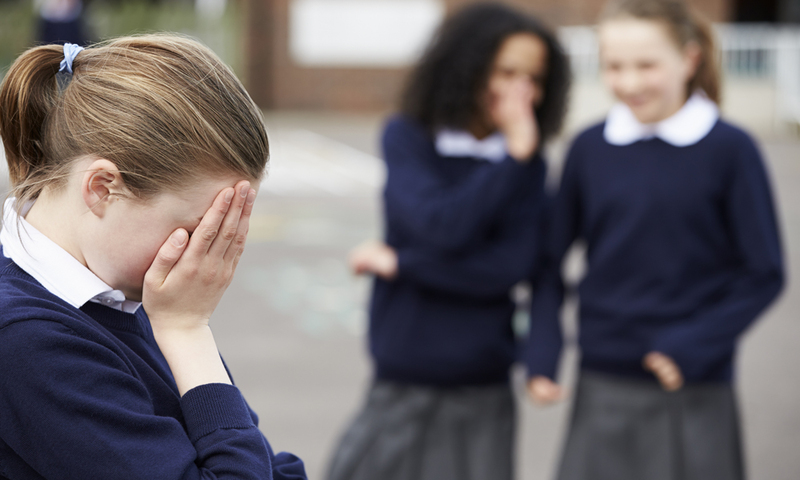 There are two very distinct sides to helping children manage meanness and playground politics. Sometimes, children and parents think that all they need to do is come up with a few good comeback lines and this will make problems with peers go away. Children do need to have a bit of a repertoire of responses that they can pull out of their pocket when things get tricky in the playground. But perhaps more important are the skills we build in our classrooms that help our students to develop the resilience they need, not only to respond to social challenges appropriately, but also to remain unaffected by the occasional difficulties they experience with peers. Regardless of whether your children are preschoolers, primary schoolers, high schoolers or young adults heading into the workforce, there are always going to be times when their relationships get complicated. These are the children who, according not just to the research but also to the observations gathered from hundreds of playground duties, are able to manage mean behaviour and playground politics best. According to researcher Edith Grotberg, children who have a positive attitude to life find it easier to manage playground politics than those who rely on other people to solve their problems for them. Her 1995 study, The International Resilience Project, defines resilience in terms of three sources, which she labels I HAVE (social and interpersonal supports), I AM (inner strengths) and I CAN (interpersonal and problem solving skills). These concepts, which are just as relevant at home as they are in a classroom, can be taught to children to build their ability to recover quickly from difficult situations. As teachers, there are many ways in which we can encourage our students to understand and use their innate skills in order to build resilience. One way is to foster their problem solving skills so that they learn to be flexible in their friendships. Compromise and negotiation are difficult skills for any person to master and, developmentally, seeing a situation from another person’s perspective can be particularly challenging for young children. But there are ways that we can model and encourage flexible thinking in our students. Complaints like “she won’t let me play” and “he’s being mean” are commonly heard in classrooms and playgrounds. Children who are rigid in their thinking often become the targets of playground politics. Their tendency to be rule followers and enforcers means that these young ‘playground police officers’ sometimes lack the ability to go with the flow of games, and this can lead to social issues. One way to help these kinds of children to develop resilience is to model the language of compromise so that they learn to resolve their own problems. This is a helpful question that educators can use when approaching children who are in conflict. By showing your students that you are ready to listen to both sides of the story, you are able to teach them how to be solution focused. When conflict arises, it’s easy for children to make hurtful accusations about another child rather than deal specifically with the behaviour that is causing the problem. Teachers should always challenge children when they say things like, “Rebecca is a poo-poo head” or “Nile is an idiot” because children need to learn that personal attacks are not okay. “Help me to understand” is a great way to give children an opportunity to articulate their wants and needs. It’s an important phrase for you have in your pocket because, when you use it, you show your students how to consider another person’s point of view without judgement or blame. Young children are rarely very good at seeing more than one way to resolve a problem. As educators, we can help them to resolve playground politics by helping them to think of new ways to resolve conflict. In the heat of the moment, positive statements made by an adult often help children to feel like they are being heard. Responses like, “Jonah, Sebastian. You are both bright boys. Let’s think of three ways we can resolve this” is one way to help children to come up with their own options and to find one that they can agree to. When both sides feel like they have had some input, the solution is usually easier to find and accusations about ‘mean kids’ tend to be made less often. It can be challenging when one child dominates a game and keeps changing the rules. If this kind of behaviour is affecting friendships in your class, you may need to be proactive and speak to the group before play begins to establish the rules and help the self-designated leader to consider the needs of others. When children know that you will be watching, they are often encouraged to build better playground habits and sometimes this can prevent a problem from occurring. At the end of the day, playground politics will always be a part of our children’s lives. When parents become concerned about friendship issues that may be affecting their child, it’s important to remind them that it’s perfectly natural for their child to get along well with some children and not with others. Children who simply don’t get along are not necessarily bullying one another. As educators, we have the chance to foster problem solving around challenges rather than riding to the rescue and providing solutions for our students. When we do this, we help children to find companions with whom they can enjoy positive play and we support them as they build the resilience they need to bounce back from social setbacks. Sonja is the best-selling author of School Ready: A practical and supportive guide for parents with sensitive kids. She is also an experienced teacher, speaker, mum and the founder of Kids First Children’s Services, an award-winning paediatric health and education practice in Sydney where she leads a highly experienced team of child psychologists, speech pathologists, occupational therapists and teachers. Sonja’s mission is to help kids to thrive, not just ‘cope’ by supporting their parents and teachers with practical solutions and easy ideas that make life happier at home, preschool and school. Sonja presents keynote speeches and workshops in preschools, schools and corporate settings and is a sought after media commentator on topics related to children’s learning and development. Next PostNext Sensory Play For Children….Why Is It Important?